Yesterday, I talked about the massive vol compression I’m seeing across a number of major macro instruments — most notably FX dollar pairs and gold — along with how these compression regimes set the stage for expansionary ones (i.e., Giant Macro Trends). Here’s the chart of gold again which shows its volatility (as measured by the width of its monthly Bollinger Bands) recently hit ALL-TIME lows. The last time gold vol was anywhere close to being this contracted was in 2002, right before the yellow metal busted out the gates and ran for a decades-long bull market. Now, compressed vol isn’t a bullish or bearish signal. It just means a big move is coming. 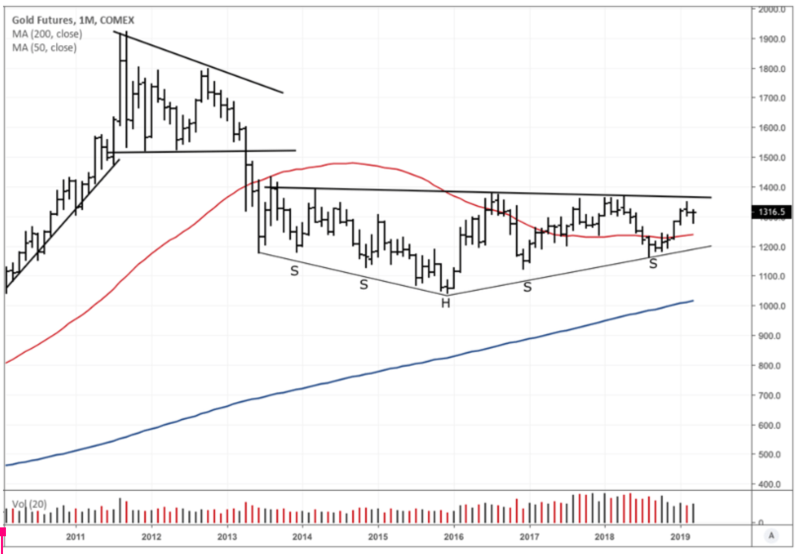 With that said, let’s take a look at the gold market anyways and see what our data and indicators are telling us to see if we can get a jump on the trend. We’ll start with another excerpt from Bigg’s Hedghogging. This time from his chapter on “Peter”. An investor that Bigg’s refers to as “the most knowledgeable gold analyst in the world”. Bigg’s writes (emphasis by me). As he studied the literature, Peter focused on a long scholarly piece written in 1988 by Lawrence Summers (later secretary of the treasury and now president of Harvard) and Robert Barsky entitled “Gibson’s Paradox and the Gold Standard.” Summars and Barsky argued that the relative price of gold is driven by (and is the reciprocal of) the real rate of return from capital markets and that this relationship has strengthened since the price of gold was floated. Since 1988 the price of gold has had a negative 0.85 coefficient of correlation with the S&P 500 and an R2 of 72%. As things got crazier since 1994, the negative correlation rose to 0.94, with an R2 of 88%. In other words, the stock market explains 88% of the weekly price fluctuations of gold over the past eight years. The long-term correlation with Treasury bonds is not as high but still very significant. As Peter explains it, the so-called problem with gold, which causes its erratic price behavior, is that “the elasticity of a positively sloped investment demand function overwhelms the inelasticity of supply.” I didn’t understand it either until he explained. You see, only 18% of the gold mined throughout history is held in investment form, or slightly more than $200 billion. The investable capital markets of the world are estimated to be about $60 trillion. In a low return cycle for stocks and bonds, monetary and investment demand for gold turns positive, and there is a dramatic shortage of available metal. This large differential can only be solved by much higher prices. The point is that it is not inflation or deflation that is the principal driver of gold, but the return from other long-term financial assets, particularly equities. Peter’s model of this relationship is shown in Figure 19.1. As you can see, in times of bleak returns, gold beats everything else. With that in mind let’s think about the world we’re in. Is the total amount of money in circulation set to expand or contract in the coming years? Well, the major central banks appear to be cornered into continuing easy monetary policy. The ECB effectively can’t reverse course and the Fed just announced they’re ending QT prematurely, are ready to cut rates soon if needed, and are willing to let inflation materially overshoot their target of 2%. Then we have China who has the centenary anniversary for their glorious communist party coming up in 2021. This raises the odds that we’ll see them ease significantly in the second half of this year in order to pull their economy out of the doldrums and get things running hot in time for the celebrations. Oh… Then we have the US running its largest non-recessionary fiscal deficit in peacetime plus Europe who’s about to see their biggest fiscal impulse in a decade. I, of course, could also mention the popular rise in MMT amongst Western policymakers, which essentially gives politicians the license to print. But I’ll save that discussion for another day. Powerful psychological event (think crypto boom/bust or the GFC) that echos through time and affects the thinking and actions of the market for years. The 08’ financial crisis created a collective disaster myopia that is still prevalent today, 10-years on. This is not only noticeable in the psychology of market participants but also in the policymakers who pull the levers on the economy (ie, central bankers). There’s a deep-seated fear around experiencing another deflationary “liquidity crisis” like the GFC. This fear will continue to drive the impulsive reaction function of creating ever more liquidity. 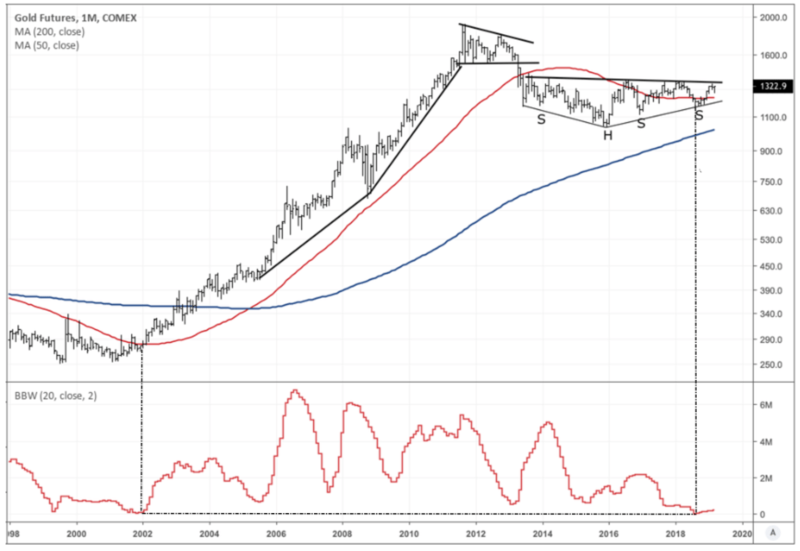 This is bullish for gold. 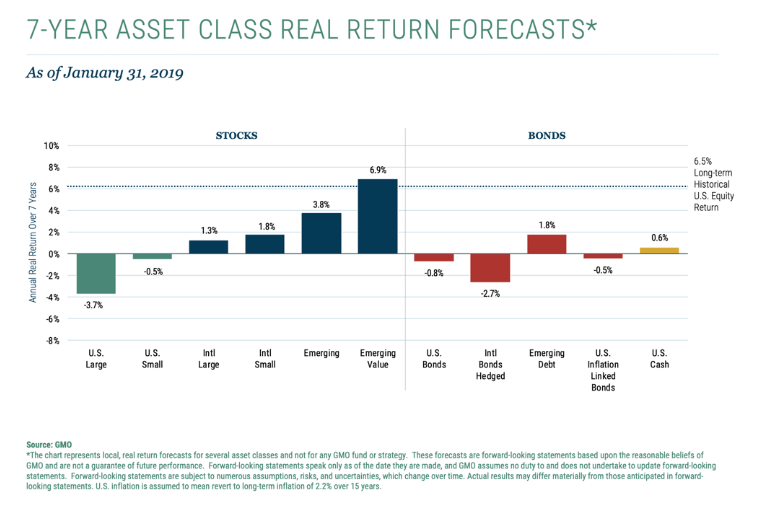 What about the expected returns from other asset classes? It seems we have the two necessary ingredients for a major bull market in gold. These are (1) low expected returns for long-term financial assets and (2) a global money stock that is likely to keep growing (potentially by A LOT). When we combine this with the current low vol regime + the textbook long-term inverted H&S bottom pattern forming, we get a clear trading opportunity. There’s also positioning which remains relatively neutral considering the recent run up in price. 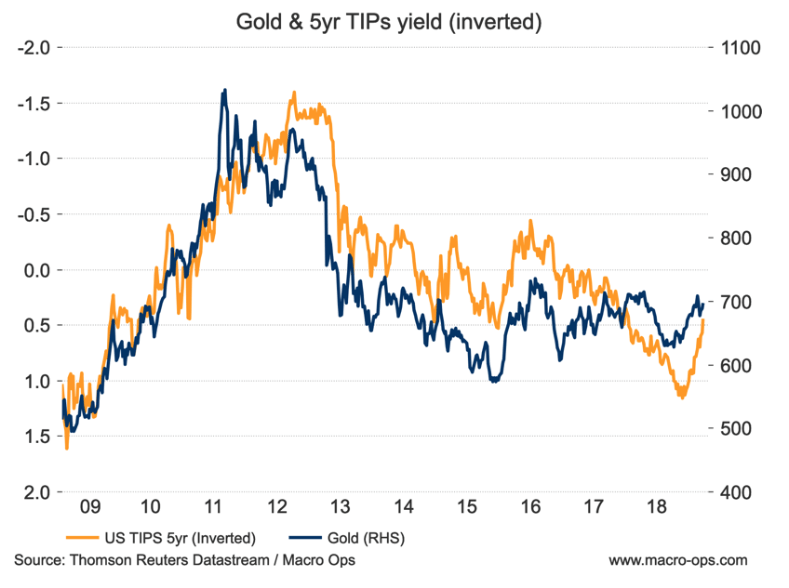 And TIPs, which had bearishly diverged from gold last year, have now completely reversed course and are now confirming the trend upwards in gold. 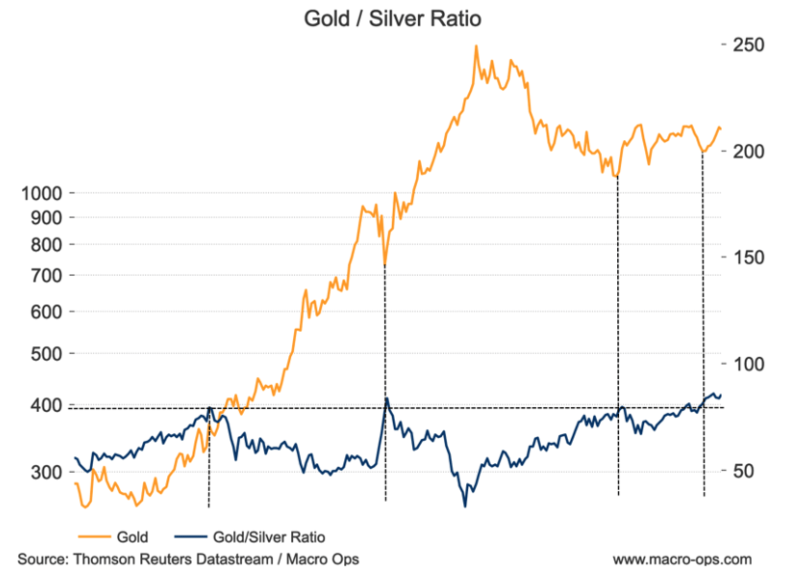 And finally, the gold/silver ratio has risen to levels that have marked significant bottoms every time over the last 20-years. Looking at the tapes of a number of gold miners I can’t help but salivate. There’s a few stocks here that look ready to explode (I’ll share my preferred ones in a Trade Alert going out to Collective Members tomorrow). There is timing in the whole life of the warrior, in his thriving and declining, in his harmony and discord. Similarly, there is timing in the Way of the merchant, in the rise and fall of capital. All things entail rising and falling timing. You must be able to discern this. In strategy, there are various timing considerations. From the outset, you must know the applicable timing and the inapplicable timing, and from among the large and small things and the fast and slow timings find the relevant timing, first seeing the distance timing and the background timing. This is the main thing in strategy. It is especially important to know the background timing, otherwise, your strategy will become uncertain. This means some major trends are on the horizon. And along with major trends come major opportunities to profit. Gold is just one area I see that’s ripe for exploitation. There are others which I’ll cover later this week. 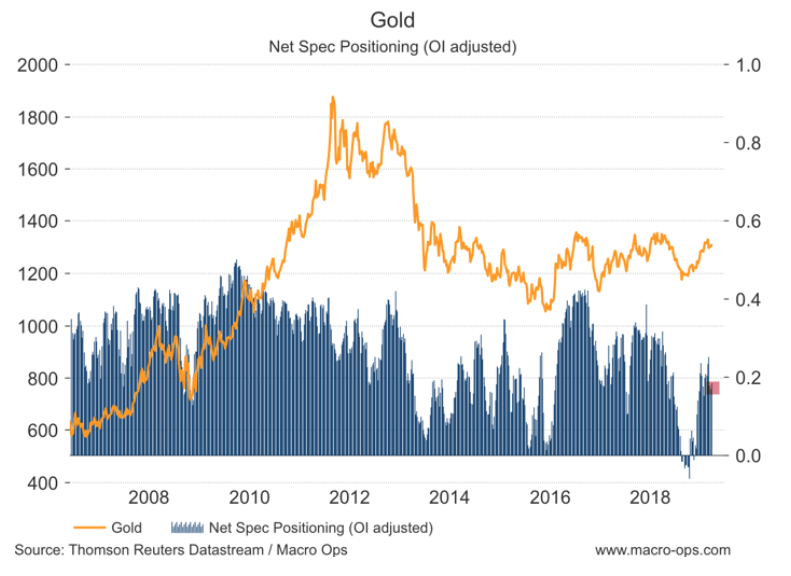 If you want to see the exact gold stocks my team and I are interested in buying then check out the Macro Ops Collective. Click here to enroll in the Macro Ops Collective!